There’s nothing quite like a last minute change of plans and signing up for a race the week before the start… But that’s what I did a couple of weeks ago and last weekend I ran my first serious distance race, I did the 22k version of the inaugural Waitomo Trail Run. Janes mum had seen it advertised in the local paper so I checked it out, it looked like fun so I entered. I probably would have entered the 11k distance except that it was fully subscribed and so entries to that distance were closed. The only distances still open a week out from the start were the 33k and the 22k, I was definitely not ready for 33k but 22k sounded achievable, I had run a few 18’s and done 23 a couple of weeks earlier, so I figured that I should be able to get around the course. Looking at the course I was a little concerned at the amount of climbing (789m) but there was little I could do about it apart from set my goals accordingly. I went into the race with fairly modest goals, firstly to finish the course, it was my first trail run and I didn’t really know what I was letting myself in for. Secondly I would like to finish somewhere between 3:30 to 4 hours. This was about an hour longer than my previous attempt at 22k and felt achievable. Race day was perfect weather, sunny with little wind and the temperature was in the high teens and the scenery was fantastic, even if the amount of hills was giving me a little cause for concern. Still I knew what I was trying to achieve and while I felt a little under prepared, I was certain that I could last the distance. This was the first year the race has been put on, and we got to run over some pretty beautiful countryside with quite a lot of the course running over private land so the opportunity to see it is pretty limited usually. The first half of the run was REALLY hilly, I knew I wasn’t the fittest runner in the field, but those hills were pretty intense, and the off road aspect just added to it. I got to the end of the first major climb, probably about 100 meters but quite steep and undulating terrain, and I came to the “shortcut” which was a route option that would cut 5k off the total route. It was reallllly tempting, in fact if I hadn’t been chatting (I say chatting, I mean gasping) to the people around me I would possibly have taken it, but no one else was heading down that route so I just kept going. 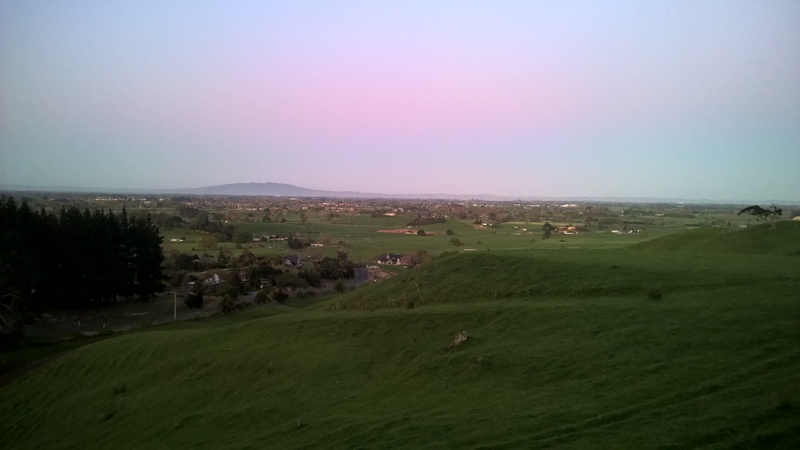 We ran over narrow rock escarpments, through native forest and across undulating farm tracks. It was fantastic, the most frustrating parts were where there were a couple of pinch points where only a single runner could pass at a time. One of these was a small cave that required a bit of gymnastics to get through – unfortunately this meant a 30 minute wait to get my turn to go through here. While the rest was welcome, it did take a bit longer than I would have liked and I did start to get cold. Once through the run continued through the fantastic scenery and looped round back to the start, seeing the start line again was a mixed blessing, it was great to see my supporters and hear them cheer me on, but it was a bit disheartening to realise that I had only run 11k and it had taken the better part of two hours. The second half of the race was a mixture of farmland and some native bush. Running in the bush is great, its cooler than in the paddocks, and the ground is springy as a lot of NZ forest is, but the single track is a lot more technical and required a fair amount of concentration to ensure that you didn’t trip. The path was well marked though so route finding was pretty straight forward. Eventually my race drew to a close, though I will say any course designer who places the finish line at the top of some stairs is a special kind of sadist, but as usual the sound of people cheering you on makes you dig deep and find some last reservoir of energy to ensure that you run across the finish line. That’s right, its race week – not the mighty Coast to Coast, rather the slightly more pedestrian round the bridges in Hamilton. Just how pedestrian? Well there are two distances you can run and I’m entered in the shortest, a mere six kilometers. Given the state of my fitness when I started I’m feeling quietly chuffed about even being able to contemplate entering let alone actually doing it. Sadly Jane, Chicken and Buddy won’t be there to cheer me on, they are all taking part in the Maunga cycle race which is happening at the same time on the same day. 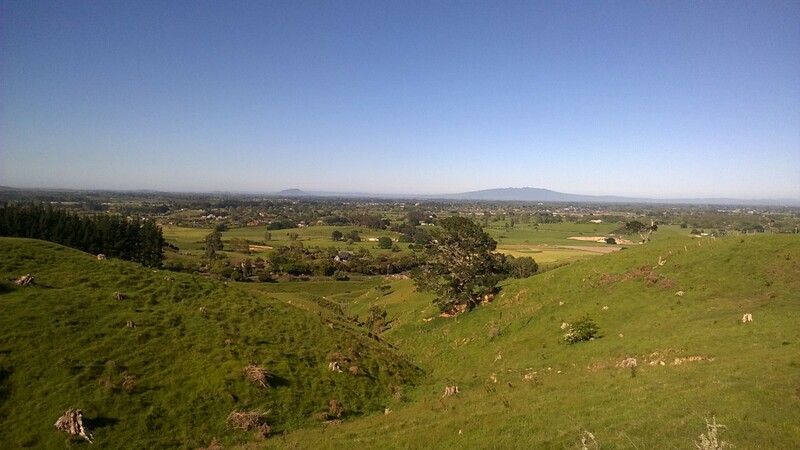 I was going to do the Maunga as well but when I realised they were on the same day at the same time, I decided that as running was my weakest discipline that I would leave the biking for later. I’m not looking forward to the run on Sunday though, I have been feeling lately like I’m not making enough progress – patience has never been one of my strengths. After the initial rush of improvement I feel like I have reached a plateau, this has been further reinforced by the fact that I don’t seem to be losing any more weight. I’m sure that I am making improvements, it’s just that things don’t seem to be getting easier, and I had hoped by now they would be. Anyway the run on Sunday will tell me if I have improved, its largely flat compared to what I normally run so I’m hoping I can run a bit longer than I typically do and finish faster than I usually do 6k’s in. The other day Jane suggested that I enter the annual Round the Bridges fun run in Hamilton. The Round the Bridges race has been running (sic) since 1945 and has three distances – 2k’s for children, 6k’s and 12k’s. I’ve entered the 6k and have 3 weeks to get myself ready for that distance.